In early March, under the leadership of SOCHE, Richard, Steven, Lou, Rana, and I worked with 32 catalysts in Dayton, Ohio. The energy of the people, the strength of the art community, the leading universities, and the culture of innovation (from the Wright Brothers to Wright-Patterson) made for an exciting couple of days. I recently came across a great example of the Dayton's creative assets in action. This article from the University of Dayton highlights the winner of their recent business plan competition. Salud del Sol, an innovative new business from a team of University of Dayton students aimed at bringing the 'health of the sun' to medical treatment in developing countries, took home the $10,000 first prize to help get the venture off the ground. Winning the 2008 University of Dayton Business Plan Competition, the team of Lauren Dokes, Lori Hanna, Daniel Hensel and Anna Young created a business plan to develop and market solar cookers and solar-powered sterilizers. Salud del Sol tapped other expertise at the University including engineering, international development and social entrepreneurship, according to project member Lori Hanna, a mechanical engineering major. The project – the basis of her senior honors thesis – grew from an internship in rural Nicaragua through UD 's Engineers in Technical Humanitarian Opportunities of Service-learning (ETHOS) program. "Nurses have to travel to bigger health centers or hospitals to use sterilizers, sometimes traveling long distances by bus and spending precious time and money to have access to the equipment," she said. This type of social entrepreneurship is becoming more and more of a calling card/career choice of members of the creative class and places that offer combinable creative assets -- including universities, mega region/international linkages, entrepreneurial institutions, and scientific talent -- will see sustainable growth and improvements in quality of place. A quick plug for a project I am involved with - the Historic Cities Programme (or HCP) coming to Toronto (free to attend for all) from April 16 to 25. 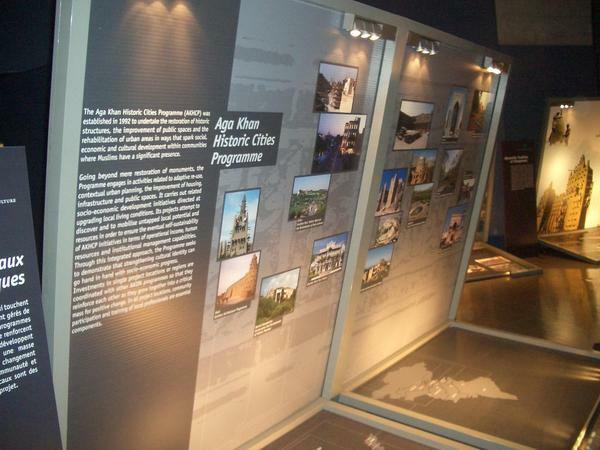 HCP is an international exhibition which is an initiative of the Aga Khan Trust for Culture. The exhibition debuted in the United States and is currently making its way across Canada. 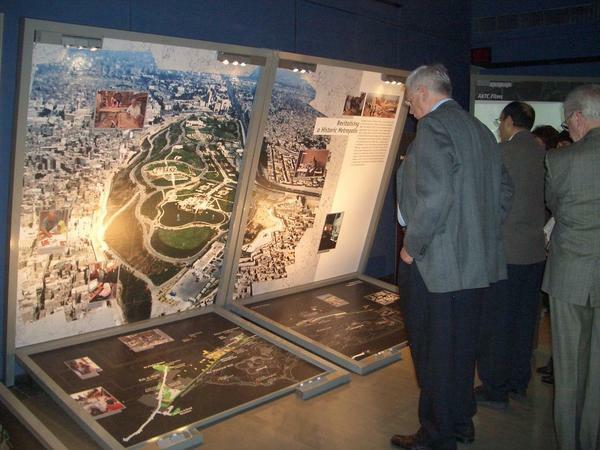 HCP showcases the conservation and re-use of buildings and public spaces in historic cities in countries such as Egypt, Syria, Mali, India and Afghanistan. The HCP exhibition offers a perspective that looks at culture as an asset that can transform communities. Mobile, Alabama is making strides to advance its local economy, in recent weeks it has attracted Airbus' European parent company to its city in an effort to build an aerospace cluster. New commercial airplanes and big military tanks are on the way for production right out of this tiny centre in the Southern U.S. Other industries (steel, auto makers) are also looking at Mobile as a place to set up shop. Why is it that manufacturers, many of them foreign based find Mobile hard to resist? What's keeping Mobile Alabama's economy on fast forward? Is it just 'academic' ? Statistics Canada recently examined where the smartest people in Toronto, Canada live by census tract. Ironically, we are all in good company, with 46% of folks that are twenty-five years of age and older having a post-graduate degree - apparently the highest percentage across the 5.5 million people that live in the Greater Toronto Area. Richard and Rana's neighborhood, along with mine and my wife Salma's all closely border this brainy census tract here in Toronto. What do you think? Is this just academic ? Where have all the young men (& women) gone? Today’s young workers, those aged 25 to 34, are much more mobile than previous generations. So where are the young workers going? The answers, based on statistics from U.S. Census data, might surprise investors. While many baby boomers have publicly fled to the Sun Belt, today’s young workers have quietly followed. Between 2000 and 2006, the population of this demographic in certain cities dropped dramatically—San Francisco lost 28 percent of its young workers, while Pittsburgh lost 29 percent. Detroit lost 20 percent of those aged 25 to 34, a decline perhaps caused by significant workforce reductions in local manufacturing. A recent report from the Institute for Clinical Evaluative Sciences (ICES), maps diabetes rates in Toronto's 140 neighbourhoods. The report's most startling finding is that urban sprawl – not just poverty and an immigrant population at greater risk – is contributing to diabetes rates in the city's poorest neighbourhoods that are almost triple those in more densely populated areas downtown. <snip> They found diabetes rates climbed in low-income, high visible-minority neighbourhoods the more residents depended on cars and the further they had to travel to grocery stores and other services. The (US) CDC is all in favour of curing diabetes through biking and walking. The Centers for Disease Control and Prevention is considering public promotion of the "co-benefits" of fighting global warming and obesity-related illnesses through everyday exercise, like walking to school or work, said Dr. Howard Frumkin, director of the CDC's National Center for Environmental Health. "A simple intervention like walking to school is a climate change intervention, an obesity intervention, a diabetes intervention, a safety intervention," Frumkin told The Associated Press. "That's the sweet spot." The key is getting people out of the car, Patz and Frumkin told the public health association at its annual convention. Reducing car travel in favor of biking or walking would not only cut obesity and greenhouse gases, they said, it would also mean less smog, fewer deaths from car crashes, less osteoporosis, and even less depression since exercise helps beat the blues. Ahh. A simple public policy issue: to increase health, increase urban density and active transportation options, right? Not so straightforward in Toronto. This city, which used to be a leading edge city for bicyclists, has fallen behind the rest of the world. The evidence? Current estimates are that the 500 km of bike lanes slotted into the official plan for 2011 will in fact be complete in 2070. At the same time Toronto is lagging, a new public transit system of short term bike rentals, la Vélorution, is springing up all over the world. Chicago is interested, and so is Moscow. Geneva and Sydney are in negotiations, and the mayor of London has called by twice. All eyes are on Paris. But what is the big attraction? It's a brand new model of bicycle, one that can be seen teeming through the streets by the thousands, all the same chic silver-gray, with a dolphin-like design. And they are all rented. Paris has suddenly become the world capital of bike rentals. Nowhere else in the world has quite so many rental bikes standing at the ready: there will soon be over 20,000. And the fleet is really being put to use: commuters pedal from the Metro to the office, managers pop out in their lunch breaks to pick up groceries, tourists zigzag in every direction. More than six million rides have been clocked up in just three months -- there is hardly a faster way to get through the legendary tangle of the French capital. Not in Toronto, which axed its hugely popular Bikeshare programme because it cost $80,000 per year. What does this have to do with flu shots? Over at Marginal Revolution, Alex Tabarrok explains that people who get flu shots reduce not only their own risk of flu, but that of everyone around them. People who have the flu spread the virus so getting a flu shot not only reduces the probability that I will get the flu it reduces the probability that you will get the flu. In the language of economics the flu shot creates an external benefit, a benefit to other people not captured by the person who paid the costs of getting the shot. The external benefits of a flu shot can be quite large. Under some conditions each person who is vaccinated reduces the expected number of other people who get the flu by 1.5. There are thousands of potential cyclists in Toronto, who could be living longer and healthier lives while reducing the whole society’s greenhouse gas emissions and medicare expenses. They aren’t biking because of the risks and costs they will personally incur. How many times do we see this? Positive externalities are the side effects that cause spillovers of goodness, saved costs and lives, healthier options. All too often they are discounted. Cities are vast reservoirs of positive externalities in employment, transportation, education, recreation and services. People migrate to cities hoping for all those happy spillovers to land on them. A successful city identifies and builds new mechanisms to create these positive externalities, whether it’s flu shots or bike lanes, schools, transit, parks or libraries. Tabarrok suggests that we kiss the inoculated. At this point, Toronto’s cyclists would appreciate bike sharing and dedicated lanes as least as much as kisses. Kevin Stolarick of the Creative Class Group and Lisa Taber of FortiusOne have paired up to develop a series of 'heat maps' that show the hottest places in the country based on your lifestage and some preselected criteria. The maps allow you to zoom in on specific parts of the country or see how your current city compares to others.